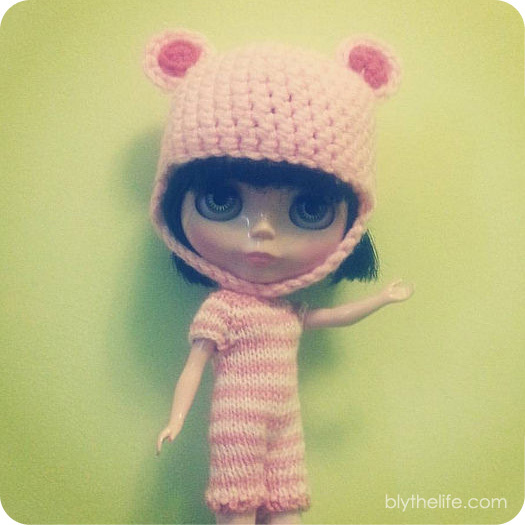 One of the cute, quirky things about Blythe is her over-sized noggin to body ratio. It’s also one of the things that makes her so difficult to stand up! This is one of those moments when geometry comes into play in “real life” and suddenly it makes sense why your math teacher in grade school told you that this information was important. Now, there’s a variety of things that you could use to from the hypotenuse. Some sampling of things that I have used before include: plastic fork, chopstick from sushi take-out, bamboo skewers, and random sticks found on the grass. There’s pros and cons to all of these items, so lets go through some of them. The plastic fork is fantastic because it can be inserted into the ground. 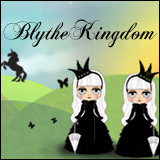 This is especially good if you are trying to stand your Blythe up in grass or a sandy beach. You can insert the tines of the fork into the ground at and angle and that provides more support of your top-heavy Blythe. 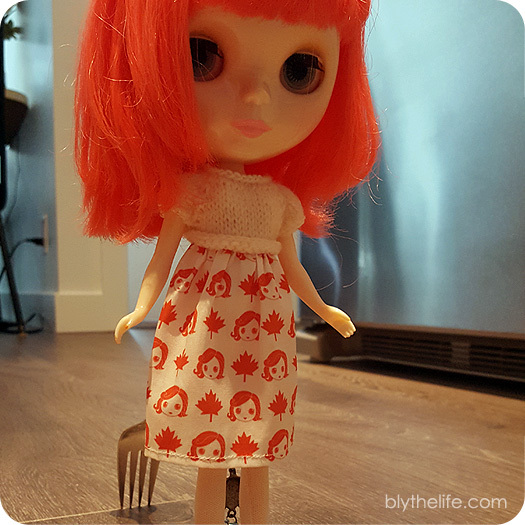 Plastic forks don’t tend to be particularly long, so chances are the end of the fork will rest on your Blythe’s back. Bonus – plastic forks can be clear/translucent! This is especially useful if you’re not wanting the fork to show that much. I used proper silverware in the photos of this post because silver is easier to see in photos than clear plastic, and for the tutorial’s sake it makes it easier if people can visualize what I’m talking about. Chopsticks are fantastic. I personally like the unused variety of take-out chopsticks that are still attached together. Why? Because it provides a larger ‘base’ for the doll to rest against. Having a wider surface to rest against means that there’s less risk of her tipping to one side or the other while I’m trying to stand her up. Win-win! Bamboo skewers are cheap, they’re easy to find at dollar stores (or perhaps you have some leftovers from making kabobs? ), and they’re sharp and pointy – for the ease of inserting into the ground. One of the problems I’ve personally found with bamboo skewers is that they can break easily. 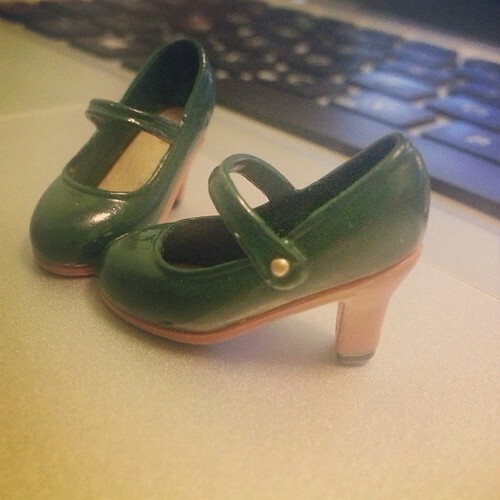 They aren’t the sturdiest things I’ve ever used to stand up one of my Blythes, and I find that they can break in the ground if I’m trying to insert them into not the softest earth. 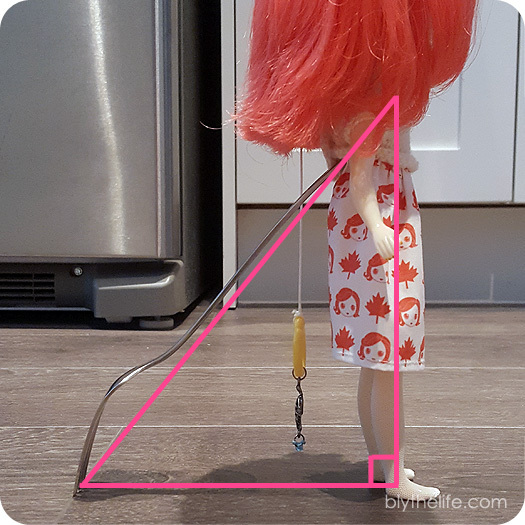 Another downside to using skewers is that they don’t offer a particularly wide base – but you could use two bamboo skewers to form let another triangle – but this time it’d be an equilateral triangle (geometry comes in so handy in real life!) where the ground forms the base and the skewers form the equal sides. Random sticks can be fantastic – free, and you won’t feel bad leaving them where you found them because that’s where it belongs! Chances are you’ll be able to find sticks anywhere – the downsides is that it may not be long enough, or too stick, and you may have a hard time hiding it in your photo (and if you don’t have the magical Photoshop skills, it may be hard to edit out). This is by far the cheapest method (can’t beat free! ), so it is your best bet if you’re out and about and just need something to help you out with a photo. But last, and certainly not least, just lean your doll against something! 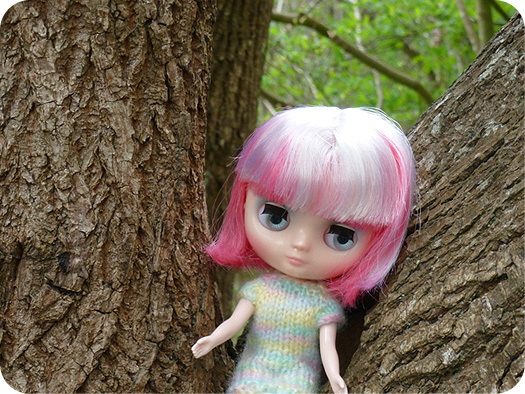 Propping up your Blythe against a wall or a bench or a tree will save you the hassle of trying to put geometry into action, although it may not provide you with quite the look that you were looking for. Use grooves between floor boards or tiles to your advantage! 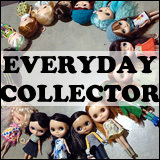 They’re there for a reason (and it’s an added bonus that they help with your doll photos!). QOTW: Do You Photograph the Unboxing Process? Her box is beautiful, her stock is amazing. I just love how creative it is with all the components – the corset waist cincher, the bat wings, the pitch fork, and those strappy boots! 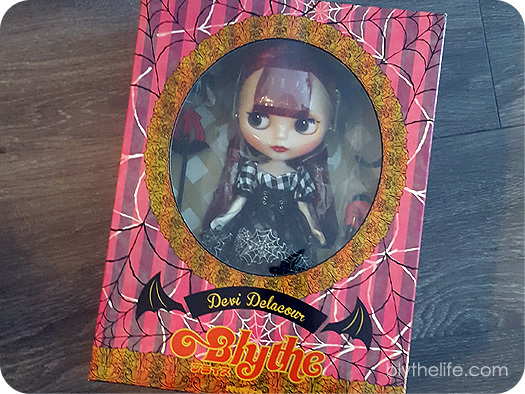 She’s so pretty, I am over the moon with my decision to preorder/buy Devi Delacour. 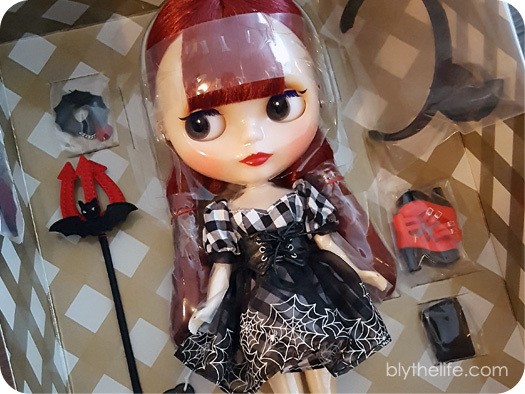 Yes, new dolls these days are packaged with a lot of plastic wrap on the bodies. 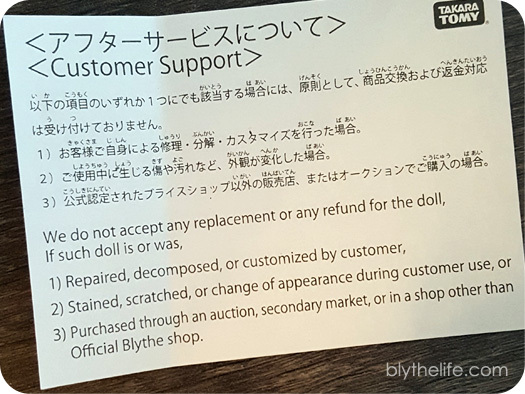 She comes with protective plastic over both arms, both legs (which goes underneath the underpants), and underneath the hair. Her hair was actually divided in half, curled and also in protective plastic as well! So much plastic, so bad for the environment! 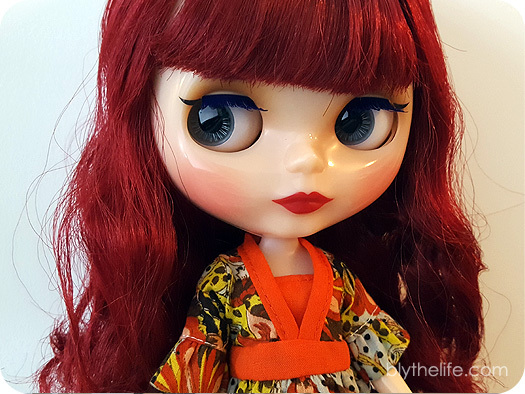 Do you photograph the unboxing process of a new doll? 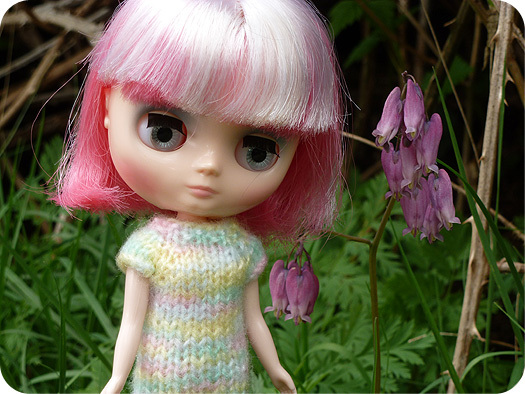 I’ve missed the aspect of taking a dolly photo a day, so here I am attempting to do 365 with Eden again. Here’s hoping that I do better than last time (114). 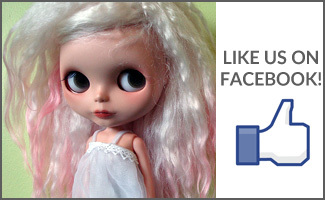 If you want to keep up with the adventures of taking 365 photos of a pink-loving Blythe, the photo album is here on my Flickr account. Eden wants to wear a completely different outfit every single day – I had to tell her that we didn’t have enough pink clothes or funds to make that happen. She may be sulking. I have a feeling that most of my 365 photos will be taken on my phone and likely uploaded to Flickr via Instagram!